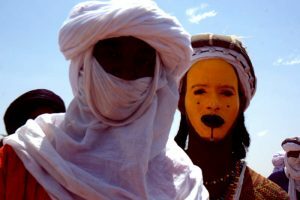 Around the fall of Gao in 2012, I met a cassette vendor in Niamey’s grand market. For years he has sat on a bench in a busy corridor with stacks of cassettes and an array of simultaneously spinning duplicators. One of a few vendors left in a vanishing trade, a steady clientele of old men maintains the fledgling business. Recorded live on tape decks, dubbed and re-dubbed, they vary in quality from slight tape hiss to degraded into a magnetic distortion. The aquamarine semi-translucent tapes are packaged in plastic cases with recycled paper j-cards. Some of them bear handwritten description, some with fine stencils, more often marked simply with symbols, as if in a secret codex. Nearly all the cassettes are Takamba. In the 1980s and into the 90s, Takamba rose to prominence. 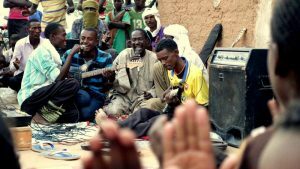 Empowered by newly amplified instruments, griots toured throughout Mali and Niger and takamba music and its ghostly dance became a signature of the Sahel. And then came the guitar. 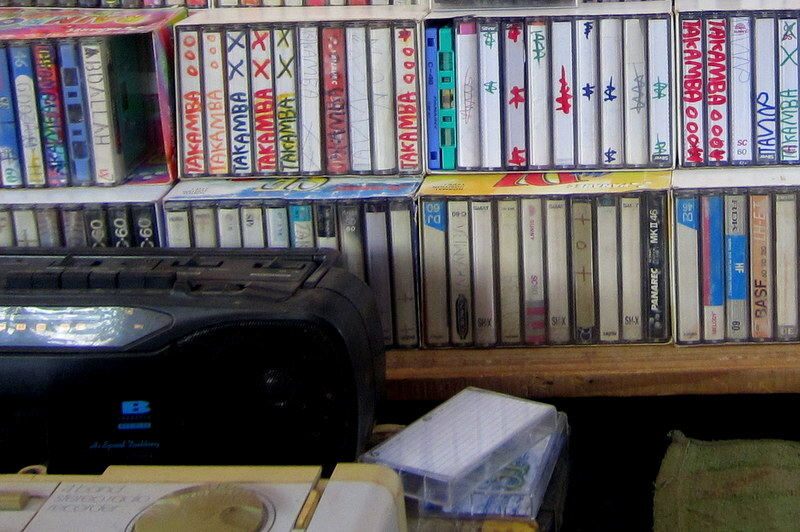 Circulating in the underground cassette trade, the revolutionary anthems and homesick ballads spread across the diaspora – first as strictly revolutionary discourse but soon becoming an expression of popular culture. By the late 90s, guitar music found itself in respectable company, in weddings, political campaigns, and even state-sponsored soirees. Takamba drifted out of fashion, retreating to its home in Gao and the sleepy Songhoi villages alongside the lazy river. Takamba (previously), with the raw shrill guitar and the clattering percussion, continues to be played today. But most often, today’s experience is through the format of the cassette and the hundreds of sessions, recorded years ago, dubbed and re-dubbed, in disintegrating reproduction. The slightly muddied sound and a persistent hush of white noise, temper the clatter and crash and buzz – defining a new signature – the Takamba cassette. The old ghosts dance under the stars, blaring out of a boombox of the shopkeeper, shaking the dying embers of that third and final tea, as the town drifts off into sleep. Super Onze de Gao * was, and is, a Takamba super group (more info here). One of the most prolific Takamba outfits, its membership has including stars such as Douma Maiga and Yehia Samaké. 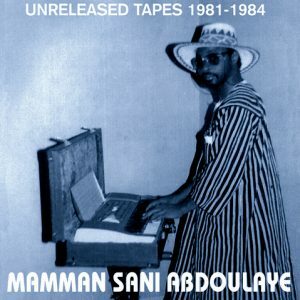 One of the highlights found in the market, a cassette recorded sometime in the early 90s, has recently been pressed into vinyl. As the group never had released an official cassette, we indulged in a bit of creative indulgence to re-envision what such a release may have looked like, with screen printed covers featuring hand-drawn artwork – as the session plays with that slight background hiss of the tape, a tribute to the cassette. 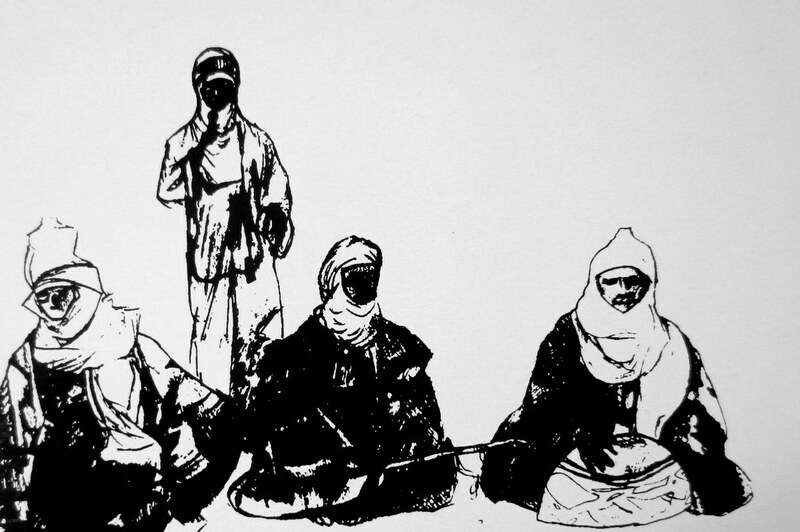 Available in 500 limited edition vinyl at the Sahel Sounds shop (or your local record retailer) and bandcamp. *Super Onze is also the name of the Brazilian-dubbed version of Japanese anime show based on a Nintendo DS game Inazuma Eleven, owing to some confusion on Google. Hi, is it possible, that you send me the music from from Takamba?